Rectangular wooden pegs with profile made of solid beech wood. Available in 2 sizes 12 x 8 cm. 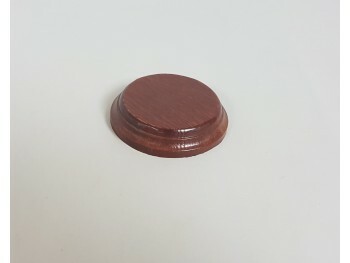 Useful part 10,5 x 6,5 cm. 14 x 10 cm. Useful piece 12.5 x 8 cm. On request of minimum 30 pcs. The varnishes, send request of prices by email in case of being interested. 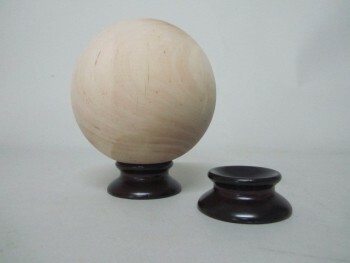 Round profile legs made of solid Pine wood Height 4.5 cm. Available in 4 sizes Ø 22 cm. Useful part 17 cm. Ø 26 cm. Useful part 21 cm. Ø 30 cm. Useful part 25.5 cm. Ø 32 cm. Useful part 27.5 cm. 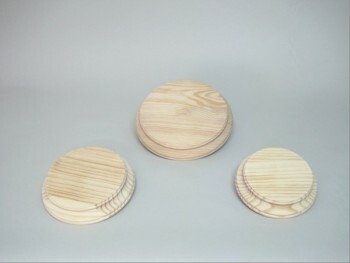 Round profiled bases manufactured in beech of 2.5 cm in height. We have 7 different diameter sizes. 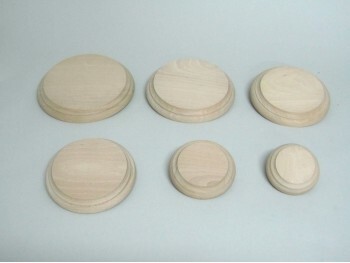 For quantities we also manufacture them tailor-made and varnished. 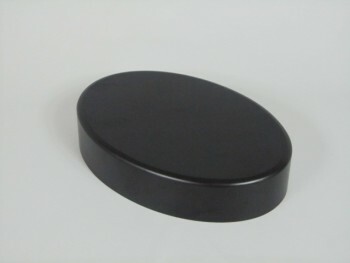 Oval wooden base matt black lacquered. Measurements: 190x130x40 mm. Matt black base. Measures: 8x8x3 cm. Straight cut rectangular base varnished in matt walnut oak. Dimensions: 14 x 8 x 3 cm. Base in lacquered wood matt black. Useful measure 23 x 16 x 2 cm.